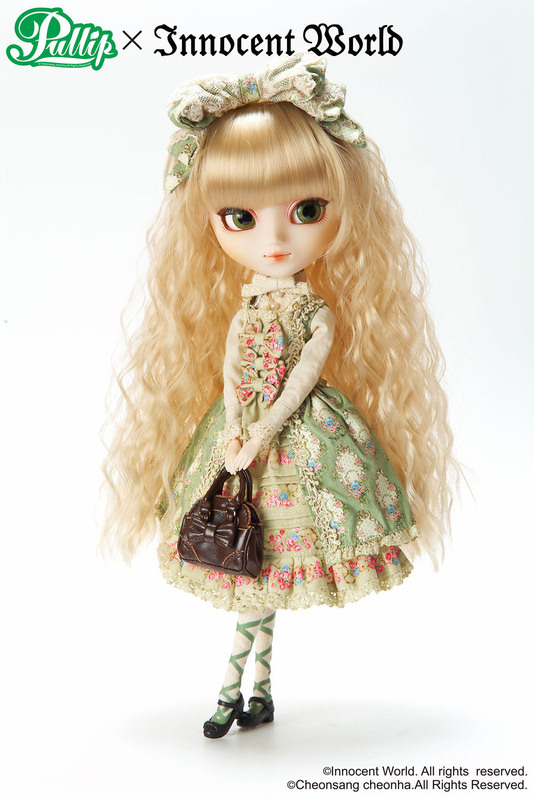 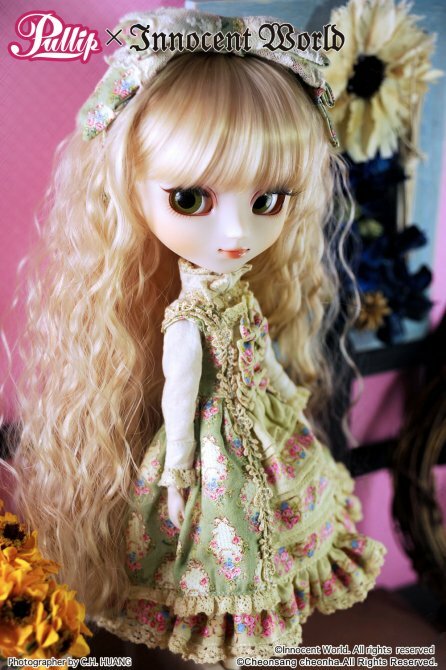 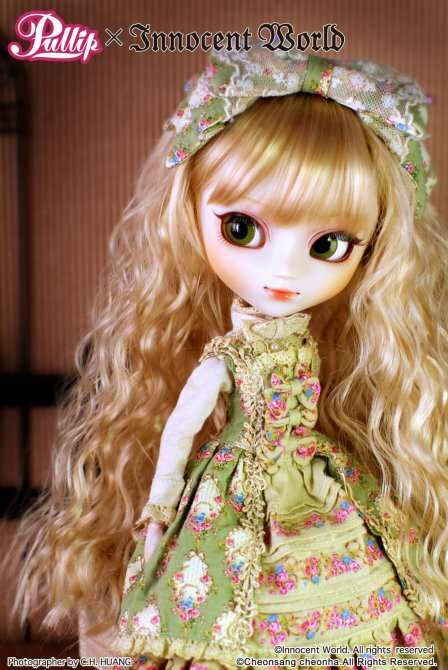 Pullip Tiphona is a part of a collaboration series with Japanese clothing company Innocent World. 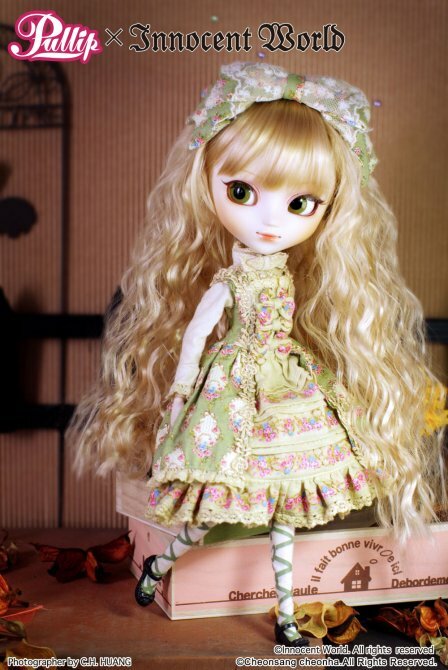 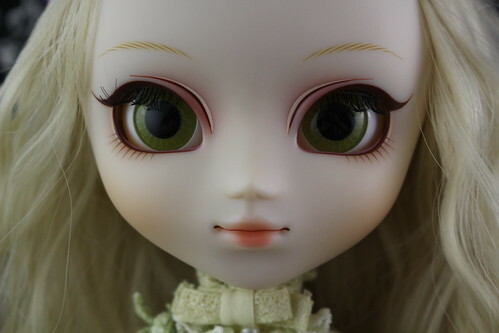 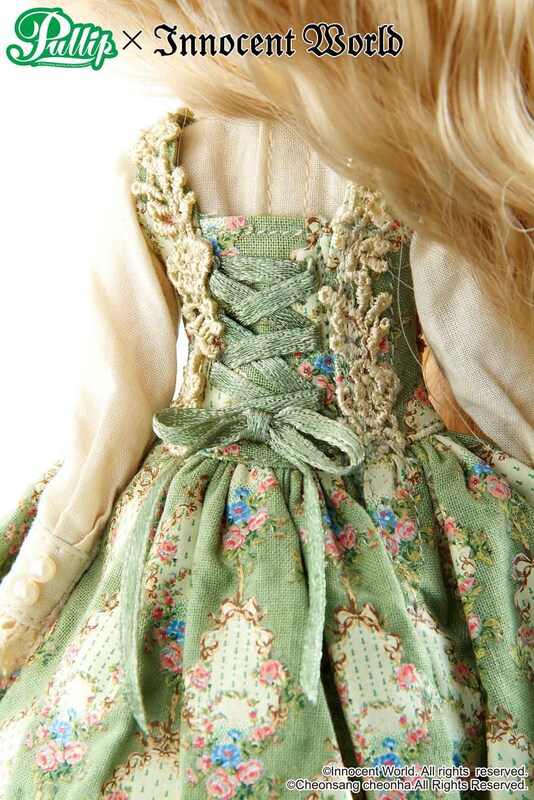 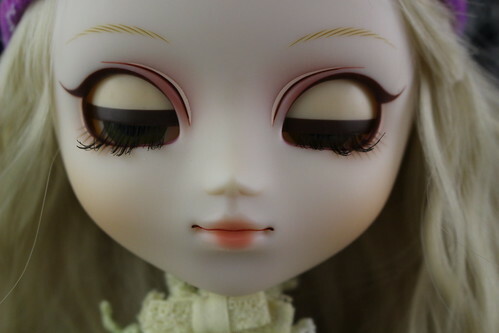 She was released in July of 2010 alongside Dal Clair and Byul Hermine who were also Innocent World collaboration dolls, later in 2012 Pullip Fraulein & Dal Kleine were also released as a part of a collaboration series with Innocent World. 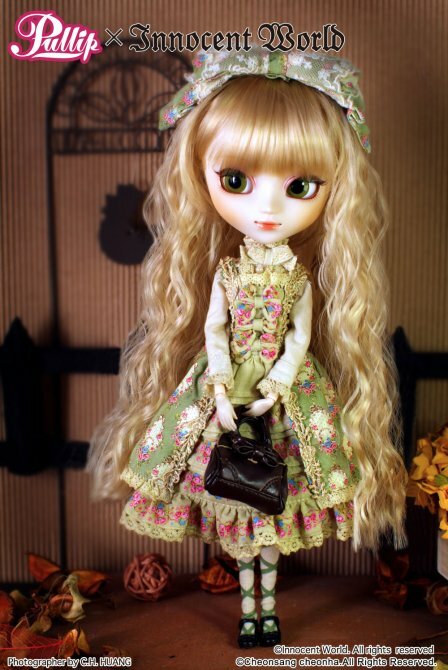 Feel Like So: Shall we have a tea party? 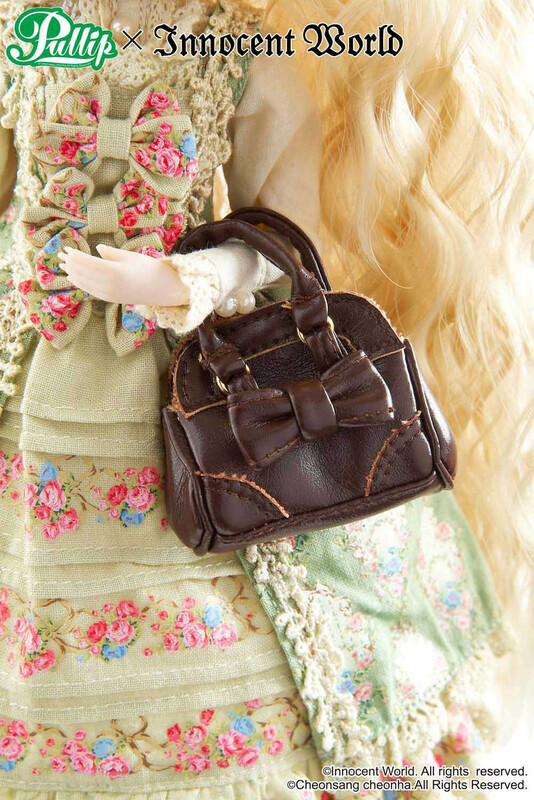 Get carried away by the aroma of tea…A beautiful moment….Feel Like So. 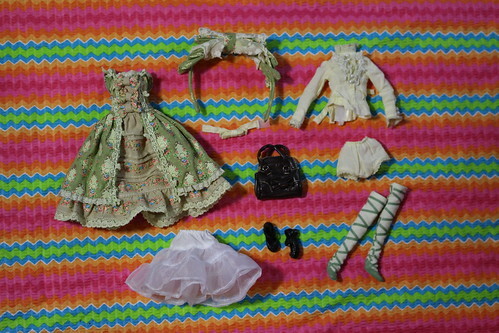 Stock: Pullip Tiphona’s stock consists of a headband, jumper dress, blouse, underwear, purse, bowtie, socks and shoes.